Use this rum to make a tasty Hot Toddy for the perfect night cap on a cold winter’s night and to help you feel a bit more relaxed during a bout with a cold or flu. Spiced Winter Warmer Nighttime Rum is easy to make, tasty to drink and a wonderful little gift to give! 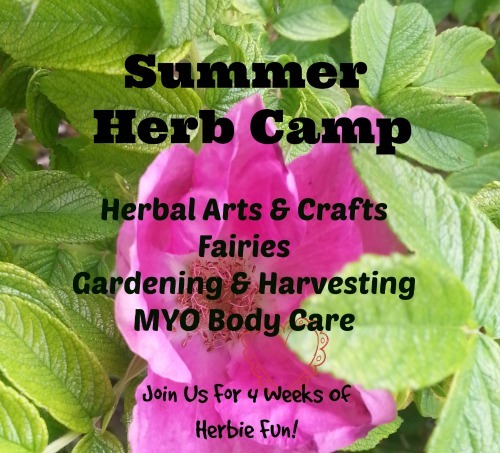 Need supplies for creating your own herbal crafts? The Bulk Herb Store and Star West Botanicals* both sell wonderful, high quality herbs, containers, and plenty of other supplies to help you! Combine the herbs and apple together in a quart size jar. Cover with rum and honey. If you like things on the sweet side, use ½ cup of honey. Otherwise start with ¼ cup and add more later if you wish. Tightly cap your brew and give it a good shake. Store in a cool dry place. Shake it at least once a day if you can remember, more often if you wish! Taste the rum occasionally to see how it is coming on. When it tastes good to you, you are done infusing. I like to pull the apples out after about 2 weeks and then continue infusing the herbs for another 2 weeks at which point I strain out the herbs, bottle and label my rum. Lycium Berries are a tonic for the liver and blood. They have long been used for promoting longevity. They are deliciously tasty too! Skullcap is a wonderfully relaxing herb from the mint family. Skullcap is wonderful for helping those with restless sleep, nervous irritation & exhaustion and anxiety. Passion Flower is another wonderful herb for sleep; it gently helps those with troubles sleeping due to nervousness. It is also an antispasmodic easing muscle cramping and pain. Hawthorn Berries nourish, strengthen and protect the heart. Hawthorn will comforts a sad or broken heart. Cinnamon Chips & Sticks warm and spicy sweet cinnamon imparts a wonderful flavor and aroma. Cinnamon is mucilaginous and along with it's warming, carminative properties, helps to ease stomach upset. Cinnamon will warm up a cold body and ease chills during illness. Fresh Ginger assists the immune system through stimulation of circulation and digestion. This warms the body and increases nutrient absorption increasing overall health. It is excellent as a preventative or at the beginning of an illness. Ginger helps to alleviate cramping and so can help a gassy stomach, menstrual cramps and headaches. Anise Seeds is another tasty herb for supporting digestion. It eases gas and indigestion. Anise also helps gently clear mucous during spells of coughing.